If you don't ask, you don't get. Tony Soprano understood that and wasn't shy about asking for what he wanted. 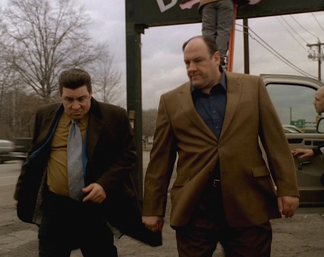 Whether it was a date with a woman, a favor from a business associate, or a drag off his sister Janice's cigarette, Tony Soprano didn't sit around waiting for people to offer him what he wanted. He asked for it. 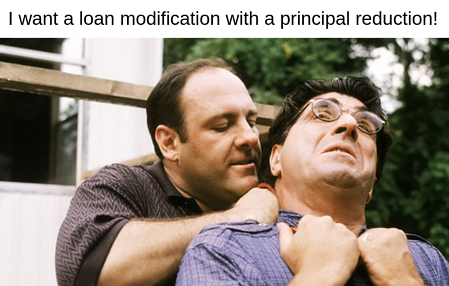 If you want a loan modification, you're going to have to ask for it. 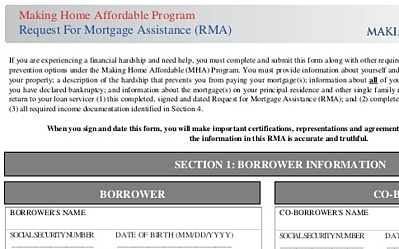 Your bank may tell you that a loan modification is a possibility, but it's up to you to formally ask by submitting a Request for Mortgage Assistance (RMA). It's a lot of work to apply, but it's what's required. Don't assume that you're not eligible. Speculation isn't going to get you anywhere. You'll never know unless you ask. Tony Soprano knew that just asking for what you want once often isn't enough. If he didn't get what he wanted after asking the first time, he was persistent and followed up with more requests. 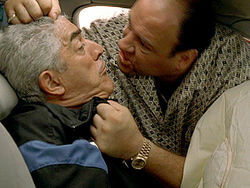 Like when fellow gangster Phil Leotardo owed him money and wouldn't pay after being asked, Tony ran Phil off the road, causing him to wreck his car and injure his neck. Then he politely reminded him to pay up (pictured). Making threats and committing crimes is not going to help you get a loan modification. However, you do need to be persistent because many people who apply are denied a loan modification and need to reapply. 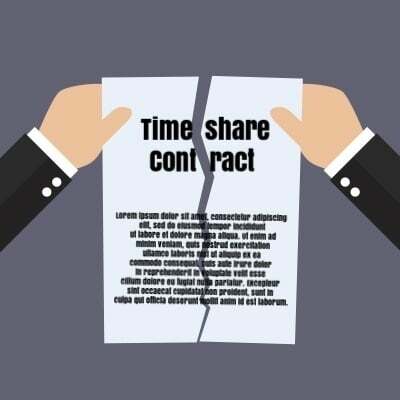 Even if not denied, you may have to continually resubmit updated versions of documents you've already submitted. 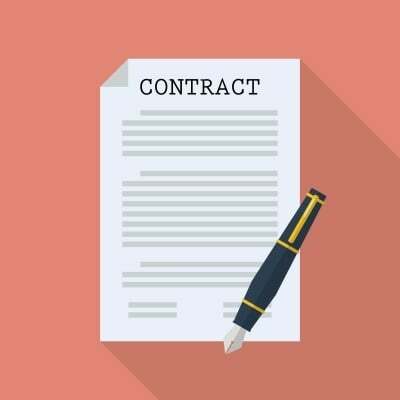 Your job isn't over after you ask for what you want. 3. 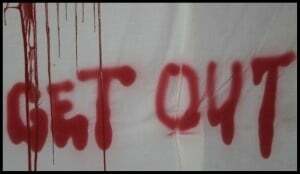 Don't do everything yourself. It wouldn't have been possible for Tony to manage his criminal empire if he had to personally complete every task that needed to be done. Instead, he delegated responsibilities to his subordinates according to their abilities. For example, Silvio Dante was involved in gambling and prostitution, and Ralph Cifaretto earned money through construction. Giving responsibility to others made for less work for Tony. He once told a captain “It's your job to make my job easier.” Giving responsibilities to people based on their skills also means that tasks can be accomplished competently, even better than you could do them on your own. 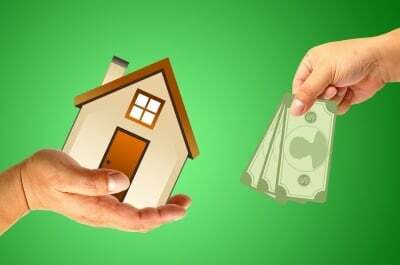 If you're trying to get a loan modification, you could also benefit from delegating to take advantage of other people's knowledge and skills and save yourself time. If you don't have extensive experience with foreclosure defense and loan modifications, you may have a difficult time getting what you want. 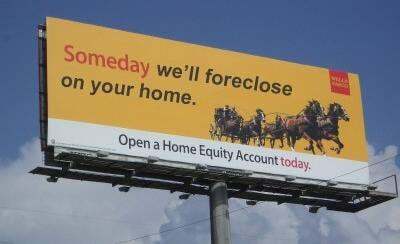 You could even lose your home to foreclosure when it could have been saved. So, do consider working with a qualified professional like an experienced foreclosure defense attorney. They may be able to help you get what you couldn't get on your own and save you time. Again, Tony Soprano isn't someone you want to make your role model, but good lessons can be learned even from bad people.